For #5 Plastic zippers. Autolock. Price is per 5 pcs. For #5 brass zippers. Autolock. Price is per 5 pcs. 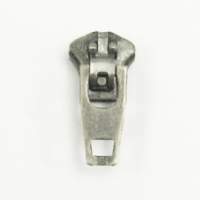 For #5 metal zippers (aluminum or nickel). Autolock. Price is per 5 pcs.